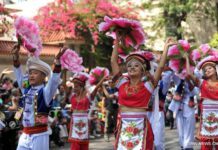 With a rough population of 320,000, the ethnic group of Nakhi, or Naxi mainly inhabit in Yunnan Province in southern China. 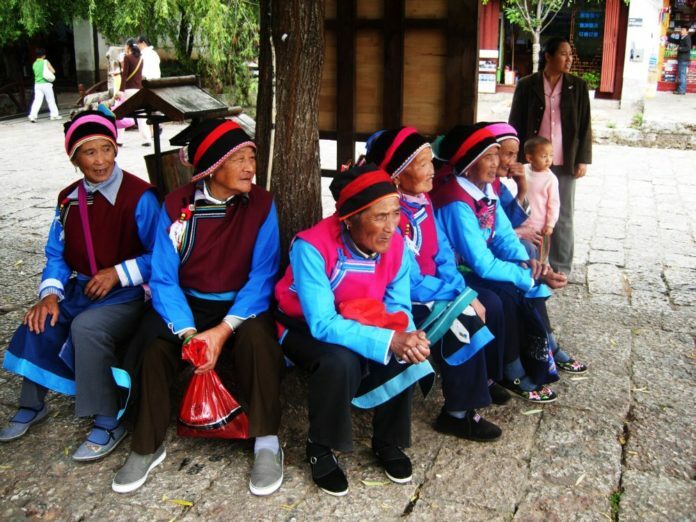 The largest single concentration of Naxi people in Yunnan Province live in Lijiang Naxi Autonomous County, while smaller enclaves of Naxi live scattered about in other counties of Yunnan Province. In neighboring Sichuan Province, Naxi enclaves can be found in Muli, Yanbia and Yanyuan Counties. Lastly, a small Naxi enclave is located in Mangkang County, Tibet Autonomous Region. Lijiang in Yunnan Province, is a small Naxi community. 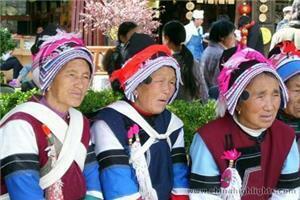 Travelers to Lijiang are very likely to see Naxi people in their traditional dresses. 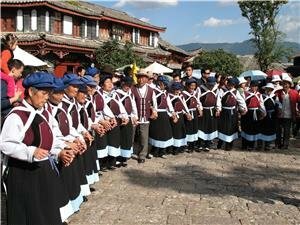 Traditional Naxi performances are arranged on special occasion in the ancient town. The Naxi language belongs to the Chinese-Tibetan language family, though it is more properly described as being Tibeto-Burman in its structure. Naxi language consists of eastern and western dialects. The Naxi ethnic minority embraced mainstream Chinese (Han) characters as its main script form during the Ming Dynasty (1368-1644 AD), but some usage of the older hieroglyphic script, Dongba, still exists, as well as the Geba script, which is the syllabic component of Naxi used to transcribe mantras and to annotate Dongba pictographs. The forefathers of the Naxi were a nomadic clan of Qiang people from north China. Between the 1st and the 10th century they migrated southward to Yunnan and settled there. According to historical documents, the forefathers of the Naxi people were closely related to a tribe called “Maoniu Yi” in the Han Dynasty (202 BC – 220 AD). 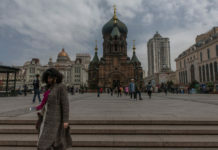 But the designations they used to describe themselves as an ethnic group depended on the region in which they lived, i.e., to which enclave they belonged. 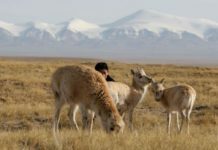 The term used might be “Na”, “Naxi”, or “Mosuo”, depending on this geographical distinction, though there is some debate over whether the people calling themselves Mosuo are indeed Naxi, or perhaps belong to a different nomadic tribe originating in Tibet (the Mosuo, in contrast to the other Naxi, form a matriarchal society). The Naxi, like most people in every moderately developed country today, enjoy “three square meals” per day. The Naxi typically prepare their dishes using both local ingredients and exotic specialty ingredients. Whether living on the flatlands or in mountainous districts, the Naxi people have ample access to a variety of vegetables, including potatoes, turnips and beans, throughout the seasons. Of all the renowned traditional Naxi dishes, mushrooms with meat stuffing, usually served in connection with a sacrificial ceremony, is the most popular. The Naxi are also fond of buttered tea in the morning and green tea after other meals. 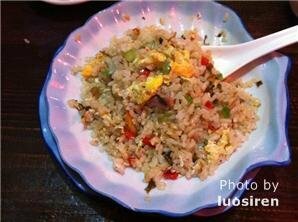 In general, spicy, tangy, as well as sweet foods are Naxi favorites. The Naxi people live in log cabins. These log cabins are of wooden structure without using any nails. The interior of a Naxi house is marked by “lanes”. Each “lane” is made up of three rooms joined by a corridor, with doors at every entrance, both internal and external, in order to keep the house tidy and rooms quiet. Most of the houses are built in two stories, with a courtyard in the center. The courtyard is large, providing lots of fresh air to the rooms and sunshine to the courtyard, since a Naxi house is of moderate height. The main house usually faces the south or the east with the belief that this will trap the good luck that arrives from these quarters, providing the house’s occupants with a bright and promising future. The whole edifice is compactly constructed, well designed and often elaborately adorned. The wooden doors of each house are all hand made and are beautifully carved with intricate designs of plants and animals. The Naxi love plants, hence their courtyards are decorated with all kinds of trees and flowers, such as plum tree, osmanthus tree, chrysanthemum, and orchids. The male costume is similar to the Han Chinese gown, replete with Mandarin-style jacket with buttons. However, the female costume has its own unique features. It consists of a long, unlined gown and a colorful, embroidered cape. The gown is slightly longer in back, reaching the calf of the leg, while it reaches the knee in the front. Underneath this gown, Naxi women wear trousers, and on their feet they wear the traditional boat-shaped shoes. A Naxi woman’s dress is traditionally in one of three main colors – blue, white or black – and is trimmed with lace about the collar and on the sleeves. What makes a Naxi woman’s dress most distinctive is the cape on her back. This cape is made of black sheepskin and has seven round designs embroidered on it. These seven round designs represent the stars. White and black are the main colors. White symbolizes the sky while black the earth. Together, the sky, earth and stars that are sewn onto the Naxi woman’s cape symbolize the industriousness of the Naxi women. The ‘Putting on Skirts’ ceremony is a Naxi coming-of-age ceremony for girls. When a girl reaches the age of 13 she usually attends this special ceremony intended to signal the transition to adulthood. The evening before, New Year’s Eve, the girls who will be participating in the ceremony get together to sing and dance and drink wine and tea, as a means to congratulate each other on having arrived at this stage in their lives. Early on the morning of New Year’s Day itself, each mother will help her daughter to put on beautiful new dress and fine jewelry. Then the girl joins the rest of the family and guests, where she sings together with the senior member of the family and expresses her gratitude and respect for the family in rearing her. The senior congratulates the young adult-in-the-making on her health, her beauty and her capabilities. Finally, all guests present gifts to the girl. Having completed the ceremony, the young adult is can participate in adult activities, choose and meet with a boyfriend. 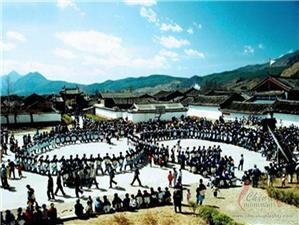 The ‘Putting on Trousers’ ceremony is a corresponding Naxi coming-of-age ceremony for boys. During the ceremony, the boy stands at the “Male Rank”, which conveys symbolic adulthood value: the boy plants one foot on a slab of pork meat and one foot on a rice bag while in his left hand he holds money and in his right hand, a knife – altogether, the symbols of a rich and powerful life. The boy kowtows before the guests, and serve wine to express their gratitude. Finally, a shaman chants scriptures and serves sacrifices to the ancestor and to the kitchen god. Following the completion of the ceremony, the young adult, like his female counterpart, is thereafter allowed to attend all adult activities and to choose and meet with a sweetheart. Naxi people are celebrating Sanduo Festival, the grandest festival of Naxi minority. Sanduo Festival is the grandest one among the numerous festivals celebrated by the Naxi people. It is observed each year on the 8th day of the 2nd month of the Chinese calendar. Legend says that Sanduo, the ancestor of the Naxi people, subdued devils and protected the people. The Naxi people regard the god Sanduo as their supreme, or protector, god. To honor Sanduo, the local people built a temple on Jade Dragon Mountain in honor of him. On this day, people gather at the temple to offer sacrifices. Many Naxi people of the Lijiang area who do not participate directly in the Sanduo Festival often participate indirectly by attending outdoor picnics in honor of the “Offering Sacrifice to Sanduo” ceremony.